This label will be great to use for my next years christmas cards. It is very pretty, but it sticks to the envelopes well. Just love the looks of this product. 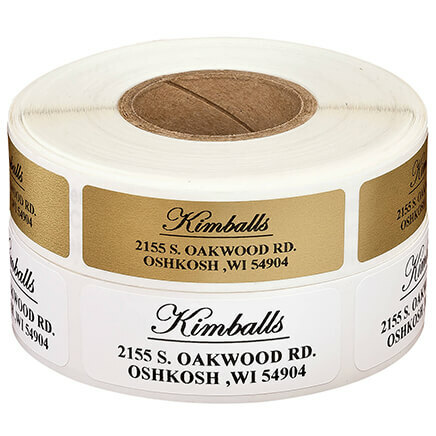 Was bummed to come to the end of my roll of labels then so excited to see the Miles Kimball label attached to the inside! Had forgotten where I ordered them from. High quality at a great price. I am so happy I ordered these for next year. Perfect for me sending out Christmas Cards!! This is my second order. Have used these labels for years and love them. 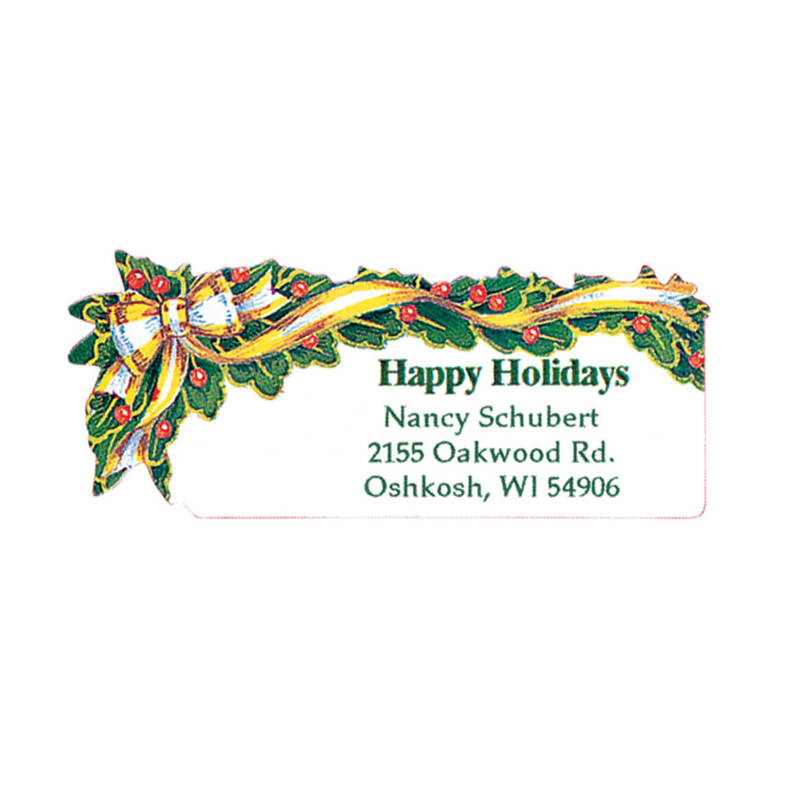 Every year I go through their website and pick out new seals and address labels for my Christmas cards.There are so many to choose from, it's so hard to choose! Have purchased these before. Love them! I bought these labels a few years ago, and just re ordered them. 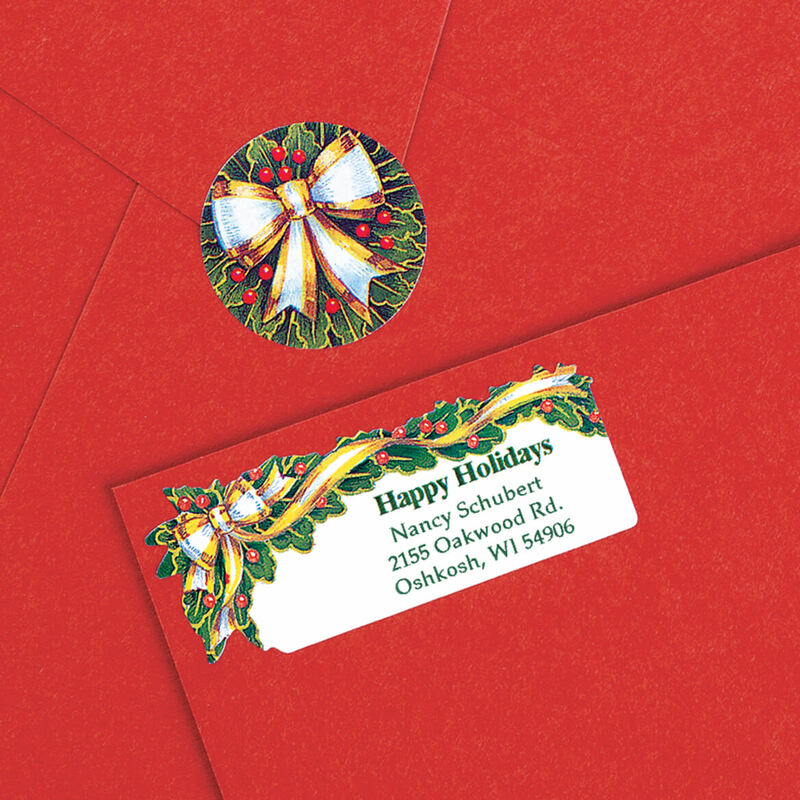 They look nice on the outside of a colored envelope of a Christmas card. The labels were beautiful and festive. i used the address labels for my Christmas cards. They are colorful and hoidayish. 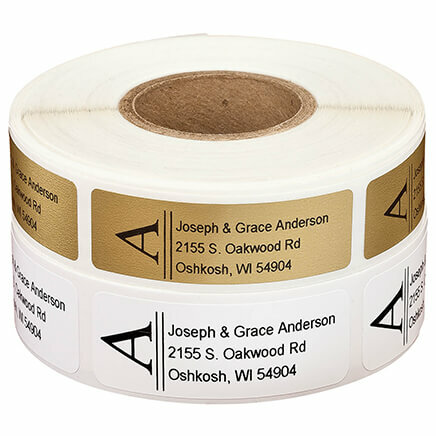 Beautiful/unique/elegant address labels. Wish that it was possible to change the greeting on the top from Happy Holidays to Merry Christmas-but that is a very minor thing. Love these labels! Miles Kimball true to word. I have been never disappointed with any order. These are lovely! They look even better in person! One box has lasted our family for several years now. The labels are prettier than displayed on line!! These will look great on my holiday card envelopes! Everyone should be delighted in receiving their Christmas Cards that has a festive return address label. Received the return address LABELS but did not receive the ribbon (rear of envelope). Needed these in case we were away from home. Because it reads Happy Holiday appose to Merry Christmas. Here is NYC I have friends that celebrate different holidays. Kwanza, Chanukah and Three Kings Day. So these labels cover them all. Liked the look of the labels. Needed to reorder this item. Indispensable for mailing my Christmas cards. Every year I purchase holiday labels and it makes my life so much easier! They are great for Christmas cards. The cost for shipping is too high. Too many added cost for a nine dollar set of labels. 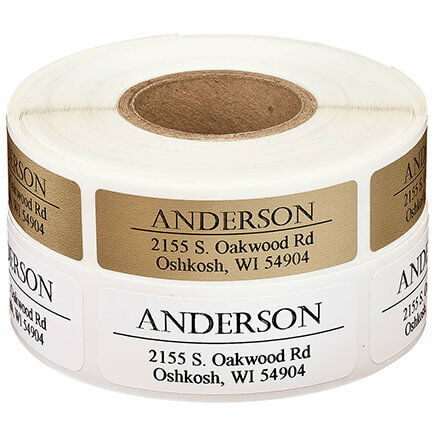 Ordered these labels before. They are so pretty. I like the address label with matching seal for the back. It just looks classy. I have ordered these before and they are exactly as pictured. Great labels!! I've had these labels before & appreciate the convenience & the appearance. same order three years ago. I ordered this before -- very pretty. 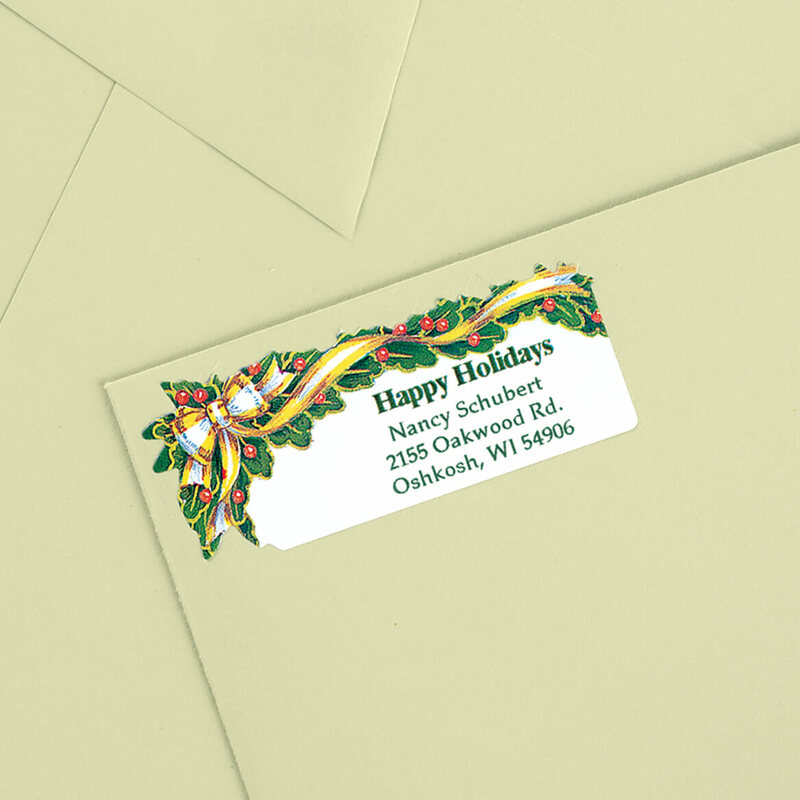 pretty - ran out of return address labels this year so I want to be ready for next Christmas! I have had them before and liked them so much, I ordered more. I love these labels. They are pretty and easy to use. 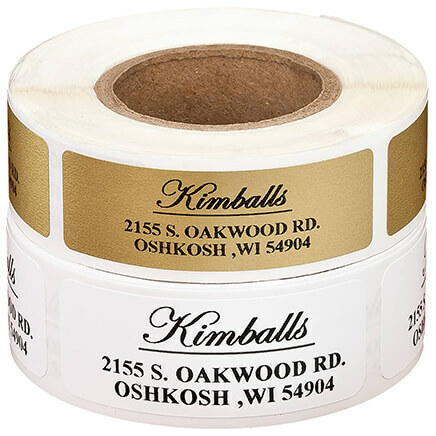 Save time writing address, and the labels are really pretty. does the address labels include the envelope seal as well for 7.99? The photo shows it but not in description. BEST ANSWER: Do you carry "package" labels ?? Number of them...Any package labels on SALE ????? No...when I ordered I received the address labels only. I only received the address labels. No, the seals are seperate. 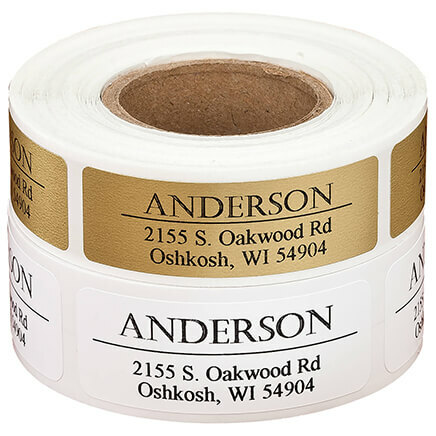 What does Personalize mean on a return label?